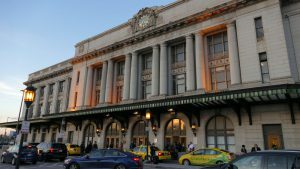 In preparation for the IPO, Virgin Trains USA filed a prospectus with the US Securities and Exchange Commission on Nov. 16, the same day it announced its strategic partnership and rebranding initiative with Brightline, Florida’s privately funded passenger-rail operator. According to the Use of Proceeds found within the prospectus, it will fund millions of dollars in rail-related construction, including work to continue upgrading the infrastructure in the South Segment, supporting the completion of the construction of the North Segment, work on the Tampa Expansion and the Vegas Expansion and for general corporate purposes. Total funding needed to wrap up construction on the North Segment is estimated at $2.1 billion, excluding a $183 million contingency fund. Some $1.7 billion is needed to complete work on the Tampa Expansion. For the Vegas Expansion, $3.6 billion is the expected amount needed to complete the project. 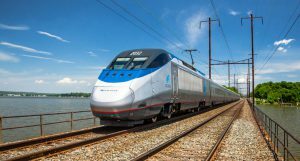 Prior to the start of trading, Virgin Trains USA LLC will be converted to a Delaware Corporation named Virgin Trains USA Inc. After the offering and concurrent private placements, private equity funds managed by an affiliate of Fortress Investment Group would own approximately 81.6 percent of the common stock, or 79.5 percent if the underwriters’ over-allotment option is fully exercised. A Virgin Group affiliate has agreed to purchase less than 2 percent of the shares outstanding following the offering. Lead book-running managers are Barclays, JP Morgan and Morgan Stanley. Other book-running managers are BofA Merrill Lynch and Allen & Company LLC. 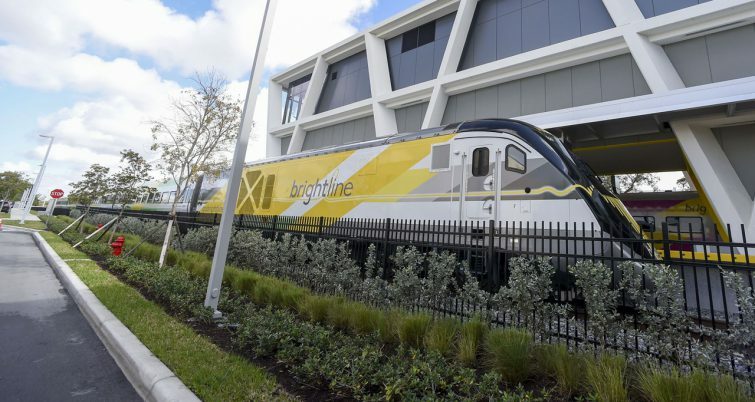 Co-managers are JMP Securities, Raymond James and Stephens Inc.
Brightline, now a subsidiary of Florida East Coast Industries and Virgin Group, operates 79-mph service on the Florida East Coast Railway main line, linking Miami, Fort Lauderdale and West Palm Beach. There are plans to extend service westward to Orlando and then to Tampa. 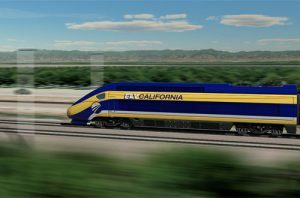 The company in September 2018 acquired XpressWest, a high-speed passenger rail project with rights to develop a federally approved corridor connecting Southern California and Las Vegas. Virgin Rail USA is now part of the XpressWest project; development costs would be funded with net proceeds from the IPO and/or other debt or equity financing. 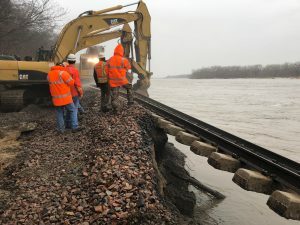 Construction is expected to begin this year, with an expected completion date in first-quarter 2023.
International Railway Journal Associate Editor Keith Barrow and Railway Track & Structures Managing Editor Kyra Senese contributed to this story.